Summer is my favorite time of year but spring comes in a close second. Our hens are earning their keep and hopefully, Henley, our rooster, will earn his, too. He is a handsome guy, isn't he? I love to hear him crow. A pretty blossom in the front garden. Some sweet daffodils in the front garden! Spring's on its way...hurray!!! Remember, I've been working on UFO's? Well, here's a huge one that I finally finished! This piece is called The Marriage of Minds by The Drawn Thread. I started this project over ten years ago and hoped to complete it by our 20th wedding anniversary. Well, we celebrated our 30th anniversary this past August. It was a little overdue! But I did finish it, so that's a plus, right? It's now on my living room wall and I couldn't be happier with it! There are a lot of specialty stitches in it and it was a fun project. The wording is from Shakespeare. I picked up in the winter right where you see, "It is an ever..." and finished it up last month. We were all sick for a good part of the winter this year so I spent a lot of time on the couch stitching. On the original pattern, the wording at the end reads, Twenty tempestuous years. 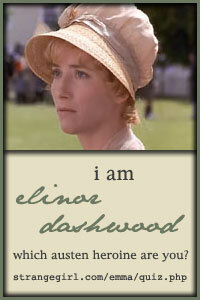 I don't think our thirty years have really been tempestuous, even though we have had our share of ups and downs. More fitting for us, I thought, was Thirty fruitful years! With seven kiddoes I thought that fit us better! UFO's upset me. Do they bother you? I have several; some are knitting, some cross stitch, others embroidery and some are quilted. I like to keep life interesting so I change it up a bit. This year, the cross-stitch group I belong to thought it would be a good idea to get some of us to move on some projects that have been put aside for one reason or another. They all needed to be cross-stitch (it is a cross-stitch group afterall) except for one and there could only be five. Easy enough! So I chose this embroidery/quilting project that is so near done I can taste it. That's my one non-cross-stitch project for this game. I think I can get this one checked off my list at some point. been put into this piece, I hope one of the more experienced stitchers in my group can save it and me! I could just cry... this one I've chosen to set aside for now until I can get help for it. It is a pretty one though, isn't it? This project will be a Christmas exhange ornament for my group. I have to keep it secret though, because I don't want anyone peekin' til it's exchange time. This one all packaged up and ready to stitch is a free hardanger ornament. I think I can handle it; it's not too big or complicated. Glad I got my feet wet on the other disaster listed above... My friend, Rose, stitched this one already and it's a pretty one, and free, too! 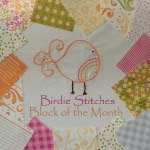 It's called Holly Quilt Block by The Victoria Sampler. I have a fair start on this one. It's called Fall Snapperland by Bent Creek. Embarrassingly enough I started it last year and didn't get too far. I hoped to finish it up this fall but I'm not so sure about that. I feel pressure to get some Christmas projects out of the way before I do stitching for myself. I still have five more washcloths to knit for someone and a Christmas stocking to make for my grandson. I do have some lovely Christmas stockings that I just completed yesterday, though. I'll be back with a post and some pictures on those next time! After a long blogging break, I'm back! It wasn't intentional, mind you, it just sort of happened. Life got very busy and it seemed one day moved into another and I always felt like I was running. It's been a full year. 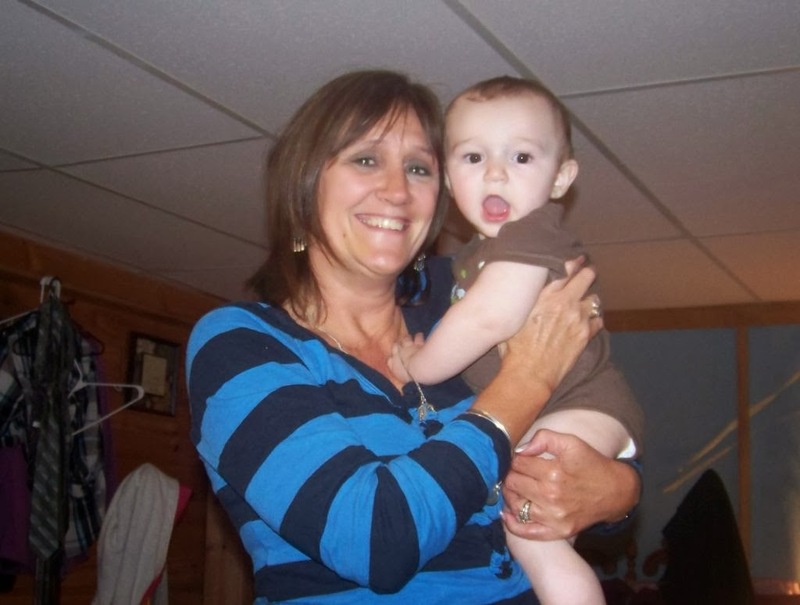 My mom passed away in August and caring for her the past year had been bitter sweet. It took a lot out of me and my family, but she knows she was cared for and greatly loved. I sure have no regrets there. I'm sure she's happy in heaven with my dad and she had a wonderful life. Now on to happy things! I'm a grandma! Well, actually a Gi-gi! I always thought when I became a grandmother I wanted to be called Gi-gi, 'cause my mom was grandma and my mother-in-law was Nana. His name is Kayden (as if we didn't have enough C and K's already!) and he's as cute as a button! I feel extra blessed because he lives right downstairs with his mama and dada! I get to see him every day! He gets lots of smooches, too! My hands have been pretty busy over the past year. I finished this one up last year. The finishing idea was not mine. Vonna over at The Twisted Stitcher came up with this finishing idea and I copied hers, as I liked it so much. The pattern is a freebie but darned if I can find where I got it from. I'll bet Vonna has it on her blog, though. I know that's where I got it from to begin with. I finished did this piece quite a few years ago, but it's still one of my favorite Christmas pieces. My mom and dad had it on their mantle for several years as I made it for a little gift for them one Christmas. My mom didn't decorate last year so I "borrowed" it back. I can't remember the designer of this one but I know it was a freebie, too. I'm pretty sure this one is a Little House Needleworks freebie. I think. I'm not quite as confident as I was two seconds ago. Anyway, Vonna is the one that came up with this finish, too. Hey, why mess with finishing talent like hers. She has imagination and fun finishes up her sleeve! I gave this one away for our ornament exchange with my cross-stitch group. I like it so much I think I will stitch one up for myself this year. I still have all the finshing materials and I sure would like to display it for myself! Oh, goodness gracious, don't you just love this one? I was gifted with this baby from my very good friend, Rose. During our exchange, someone picked hers and I kept oooing and ahhing over it. Just my taste, but of course, the package is all wrapped so you can't pick what you would like. She knew I loved it and sure enough, the next time I saw her she gave it to me! Yup, stitched it twice just so I couldl have one! As you might guess, she's very sweet and a very good friend! The pattern can be found in the Just Cross Stitch 2012 Christmas Ornament issue. It's designed by Mosey 'n Me. Well, I guess that's about it for now. I have lots more to say and need to take some pictures of more projects. I won't stay away so long, promise! I gifted these two stockings to my son and daughter-in-law yesterday. They really liked them, and seeing it's their first Christmas together as a married couple, I thought I'd give them well before Christmas so they could hang them when they want and enjoy them. I used "cheap" yarn as I thought it would hold up to years of service. I used Red Heart in the deep burgandy red, off white or Aran and the deep green. I'm not sure the name of the colors, but it wouldn't be too hard to figure out. I used gold jingle bells and wired gold ribbon. I loved the way they turned out! The directions were excellent, and seeing that I've never knitted "backwards" before, or inside out, I just trusted how she wrote the directions and followed them to a T. They magically turned out perfectly! You can certainly get a couple done by Christmas. If you'd like the pattern you can find it at I Live on a Farm. Her patterns are adorable and well-written! Happy Thanksgiving to you and your family! I had a wonderful day eating, laughing and enjoying my family today; truly a gift! I have been away from blogging for awhile as my mom was in the hospital, came here for a week to help her recuperate, moved her to an apartment closer to me and is still in need of quite a bit of care. I feel I've been stretched very thin these past couple of months. If I may ask, please pray that my mom gets better. It's been a tough time. I finally got my camera back (Corey and Lisa borrowed it when they went on vacation a few weeks ago) but now that I'm ready to post some pictures of what has been keeping my hands and mind busy during this trial, I can't find the camera cord! I have two lovely knitted stockings to share, knitted mitts and a cross-stitch ornament. Sales for the patterns are on now so I'll quickly buy a new cord on Friday so I can post pictures just in case you would like to buy the patterns over the weekend. I'll post pictures on Friday evening... I hope! 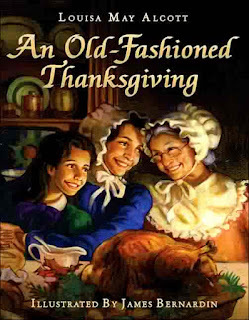 And last but not least, An Old Fashioned Thanksgiving is one of my favorite children's books. 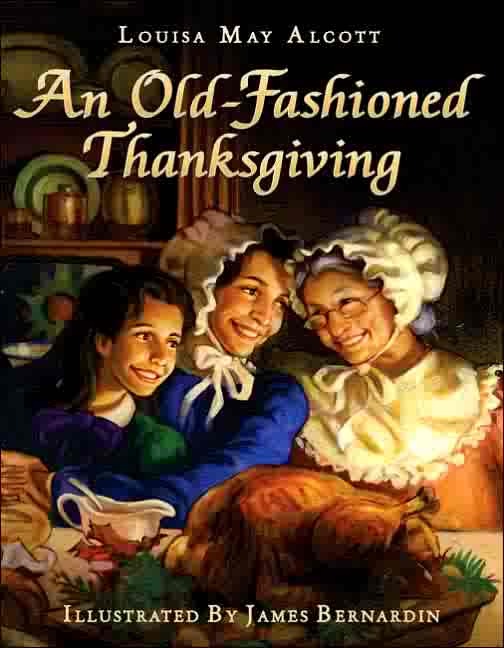 I just read it the other night as I do each year to my younger kiddoes, and they loved it as they always do! Last night we watched the movie (the one with Jacqueline Bissett) again, like we do every year, and enjoyed that, too. If you haven't read the book (which is very different than the movie) or watched the movie, try to do so. We borrow the book from the library and the movie from Netflix. I should probably just buy them both so I have them but haven't done it yet. If you do indulge, I hope you like them as much as we do! A Time To Reap is Complete! Goodness, this was a fun stitch! I love how it finished up, too! I'll surely keep this one out through Thanksgiving! My little cupboard top is getting a little crowded so I'll need to find it a new home. Keeping it away from the cats and dogs is the problem. What are you working on? Subscribe to Berkshire Cottage via e-mail! I'm a Catholic homeschooling mom of seven blessings and wife to Gary of 31 years. In addition to homeschooling, I'm a consultant for MODG. I also love to cook, knit, crochet, sew, do needlework, and read.